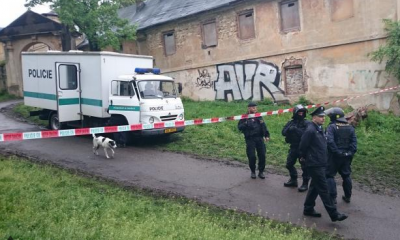 Our beloved squat Cibulka was evicted in wednesday 6th of may The police sent “tens of tens” (as described by the media) policemen in heavy armor with a water cannon against ten residents and less than twenty visitors of the run-down building. From those they then picked out residents according to an in advance prepared list and took them in for questioning. One of us got a suspended sentence in speeded-up proceedings, seven others are prosecuted for so called unauthorized use of property. We consider the intervention not only illegitimate, but also illegal according to what is here called legal code of the state. In spite of losing a place to live, in spite of the beating, threats, bullying and contempt from the police, state offices and even “decent” society, we remain free – our fight goes on!